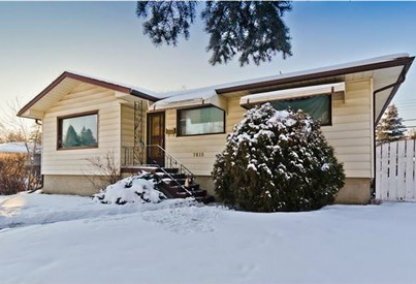 Search Kingsland homes for sale in Calgary! Located within the south zone of Calgary, this small community was annexed to the city back in 1956, and officially established as a neighborhood by the following year. 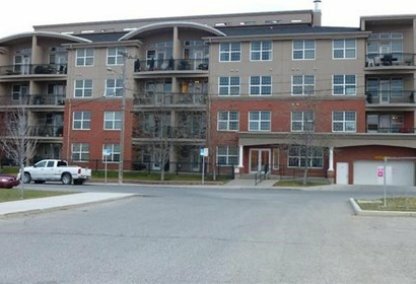 The aesthetically pleasing layout and architectural designs housing units feature in this picturesque residential area is attributed to urbanization taking place from the 1950’s to the 1970’s, which continued at a declined pace throughout the succeeding decades. Kingsland housing market statistics: As of April 22, 2019 there are currently 13 properties for sale in Kingsland listed as active, with an average asking price of $469,092. The highest-priced property is $709,900; the lowest priced property can be purchased for $224,900. Kingsland neighbourhood listings have an average price of $386 per square foot, based on listings with 3.1 bedrooms, 2.1 baths, and 1,212 square feet of living space. Thinking of selling or buying a home in Kingsland Calgary? Call Justin Havre at RE/MAX First - 403.217.0003. Our community of Kingsland real estate agents will help you navigate the Kingsland housing market in Calgary. The community of Kingsland has one of the widest ranges of prices for houses in all of Calgary. With homes selling as low as the $200,000’s, and others tagged for several millions, practically every home buyer with any spending power can afford to move into this beautiful neighborhood. Most of the 4,500 individuals who live in this community today dwell in modernized apartments and semi-detached homes. The remaining inhabitants live in a nearly even number of semi-detached abodes and row houses. When it comes to amenities, the Kingsland neighbourhood is nearby a flurry of commercial real estate and properties which feature a host of recreational activities. Home owners have plenty of options to enjoy their free time, including skating at the indoor ice arena on Heritage Drive, cooling off at a water slide park beside Macleod Trail, or going sailing at the Reservoir. Purchasing needs are fulfilled through the Southcentre and Chinook Malls – malls that feature hundreds of shops, grocery stores, department stores, diners, and many other commercialized businesses – located at a distance proximate to the neighborhood. Alternatively, inhabitants can either travel through the major roadways nearby or the LRT system to gain quick access to the bustling downtown community. Children’s educational needs within Kingsland are satisfied through the St. Augustine Elementary & Junior High schools located on site. Alternatively, parents of this prestigious community may choose to send their kids to other schools within the immediate area, such as St. Gerard, Harold Panabaker, and Ecole St. Matthew. Thinking of buying or selling a home in Kingsland Calgary? Let our local real estate agents help guide you through the purchase of your next property, or to professionally negotiate the sale of your current home. As local Kingsland real estate agents, we're experts on the market dynamics unique to the Kingsland real estate. We'll get to work today! Contact Justin Havre at RE/MAX First - 403.217.0003 to learn more about buyer or seller representation. Planning to sell your Kingsland home? Check out our home evaluation tool, where you can instantly view Calgary Homes Values online!